From deep in the Guitar World and Alan Paul archives, my list of 10 Essential Southern Rock Albums. Note that it was written in about 1998. I would do some things differently -including using Eat A Peach instead of the box set for the ABB choice. That’s my pick because it explores all sides of the Allmans better than anything else and will get anyone hooked. It is also my sentimental favorite, for reasons well documented in Big In China. 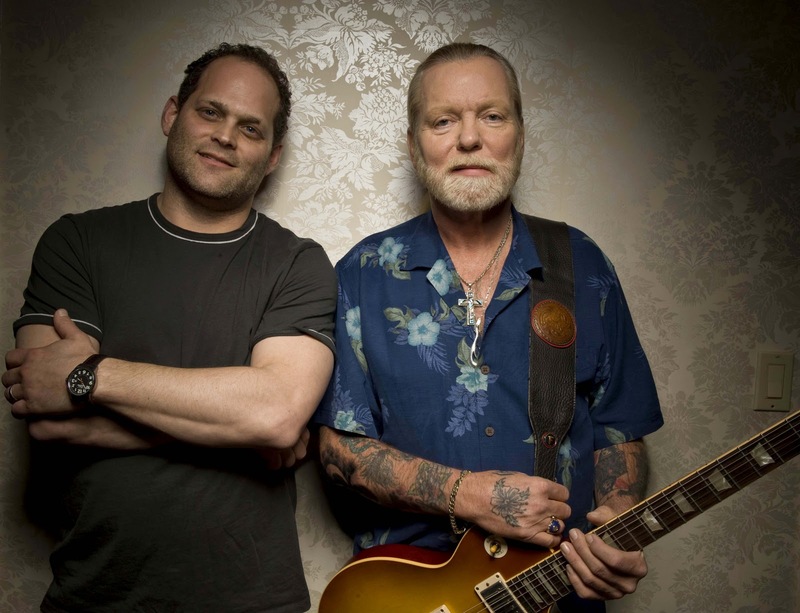 Gregg Allman and me, 2009, NYC. Photo by Rayon Richards. The Allman Brothers Band, Dreams (Polydor, 1989)It may not be fair to start with a four-CD boxed set, but if you really want to explore Southern Rock, you have to understand where the Allmans were coming from first. 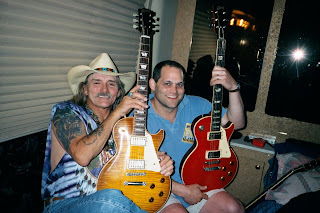 It’s all here: the blues, hard rock, folk and psychedelic backgrounds; the brilliant guitar interplay between Dickey Betts and Duane Allman; the great original songs; the original reworkings of blues classics; the country touches: in short, the roots of Southern rock and more. You also won’t go wrong starting with any of the band’s first five albums: Beginnings (which packages The Allman Brothers Band and Idlewild South on one disc); At Fillmore East, Eat A Peach; and Brothers and Sisters. They’re all essential, eventually. 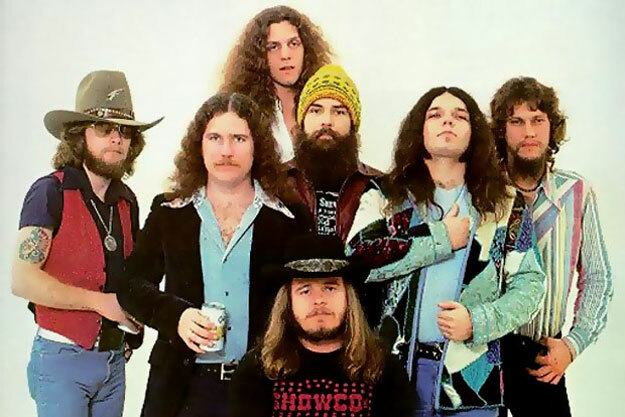 Lynyrd Skynyrd, Street Survivors (MCA, 1977)The last effort by the original band, released shortly before the plane crash that killed three members, including guitarist Steve Gaines and singer Ronnie Van Zant, and ripped the heart out of Southern Rock. Infused with new energy and creativity by the arrival of Gaines, Skynyrd breathes fire. Three guitars have never sounded as in sync as they do on “That Smell,” “I Know A Little,” “You Got That Right” and the rest. Lynyrd Skynyrd, Freebird: The Movie (Cabin Fever, 1996)All right, so it’s not an album. But it’s even better in many ways. Anyone who doubts the power of primetime Skynyrd need only pick up this video and witness the band circa 1976 just absolutely nailing it. Unfortunately, there is no similarly definitive video of Duane-era Allman Brothers, though a widely circulating bootleg featuring four songs from the Fillmore East, 1970, is well worth tracking down despite its occasional audio lapses. The Best of the Outlaws: Green Grass & High Tides Forever (Arista, 1996)This comprehensive 16-track overview features all the band’s hits — “There Goes AnotherLove Song,” “Hurry Sundown,” “Green Grass & High Tides Forever” and “(Ghost) Riders in the Sky”–and is all the Outlaws a sane person will ever need. Johnny Jenkins, Ton Ton Macoute (Capricorn, 1970)Backed by a stellar band that includes The Allman Brothers’ Duane Allman, Berry Oakley and Jaimoe, bluesman Johnny Jenkins and producer Johnny Sandlin crafted a swirling, trippy swamp blues classic. Out of print for decades, it has finally come out on CD. 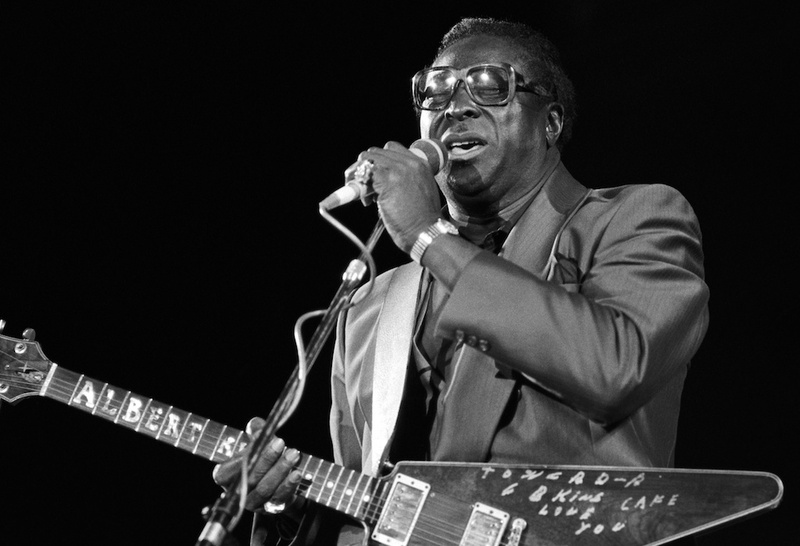 Beck sampled Duane’s guitar riff from the opening cut, “Walk On Gilded Splinters,” for “Loser,” and the album belongs on this list for that song alone, but the whole thing is a Southern-fried blast. This is as South as it gets, hoss. Delaney & Bonnie & Friends, Motel Shot (Atco, 1971)The husband and wife team of Delaney and Bonnie Bramlett presided over a traveling Southern rock/swamp/boogie/gospel/blues/gospel roadshow which featured at various times Eric Clapton, Duane Allman, Leon Russell, country-rock pioneer Gram Parsons and the entire Derek and the Dominos rhythm section. All except Clapton are present on this remarkable all-acoustic album, cut for $895 in a Los Angeles hotel room. Outrageously, it’s still not available on CD, and some of its tracks are available on The Best of Delaney and Bonnie (Rhino), but Motel Shot has to be heard in its entirety. You also won’t go wrong with Delaney & Bonnie & Friends on Tour with Eric Clapton (Atlantic, 1970). Blackfoot, Strikes (Atco, 1979)Arguably the last great gasp of Southern rock’s heyday, this album includes Blackfoot’s two biggest hits and greatest moments, “Train Train” and “Highway Song.” The band, fronted by former Skynyrd drummer Rickey Medlocke, slipped into mediocrity pretty quickly after this effort. Charlie Daniels Band, A Decade of Hits (Epic, 1983)Daniels was a veteran Nashville session musician who blatantly patterned his new band, formed in 1973, after the Allmans, with twin drummers and dual lead guitars. As the years have passed, he’s delved ever more into straight country and stupid right-wing sloganeering, but this album collects the finest moments of his band’s first decade, and the pleasures are plentiful. Like the Outlaws, the Daniels Band made a lot of great music, but never a great album through and through, making this greatest hits the right place to start. Col. Bruce Hampton & The Aquarium Rescue Unit (Capricorn, 1992)Imagine a maniacal cross between Frank Zappa and Gregg Allman fronting a group of whirling dervish shred kings, including the hottest guitarist and bassist you’ve heard in a decade and a mandolin player with chops enough to make your eyes twirl in their sockets. This is that. 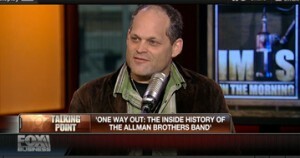 Bassist Oteil Burbridge is now a member of the Allmans while guitarist Jimmy Herring is now bouncing from gig to gig. He deserves a better fate, as anyone who hears his searing, soulful playing on this live album will attest; he’s got Steve Morse’s chops and Albert King’s soul, making him the finest Southern Rock guitarist in many a moon. Contemporary Honorable MentionThe Georgia Satellites, The Georgia Satellites (Elektra, 1986)They helped keep the flame burning during the darkest days of the 80s, with their hit “Keep Your Hands To Yourself.” And for that we should give thanks. Leader Dan Baird has also made a couple of fine solo albums featuring lead guitar by Brendan O’Brien, illustrating that one of alt-rock’s top producers is really a Southern Rocker at heart. The Kentucky Headhunters, Pickin’ On Nashville (Mercury, 1989)These good old boys blended country harmonies and songwriting with guitarist Greg Martin’s Duane-style slide playing and Cream-y Clapton leads for a satisfyingly tasty brew. 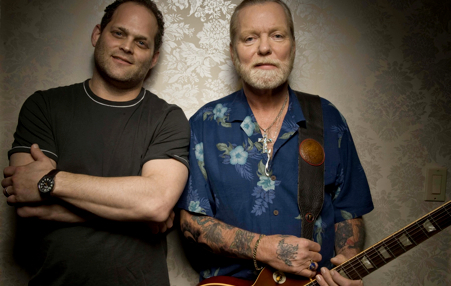 the best example of southern Rock’s grip on a certain segment of country music. Widespread Panic, Widespread Panic (Capricorn, 1998)Mixing Allmans and Skynyrd-style southern rock with San Francisco flavorings of Santana, Jefferson Airplane and the Dead, Widespread Panic are amongst the premier contemporary Southern rockers. Well-captured on this new double-live album. Gov’t Mule, dose (Capricorn, 1998)After helping revitalize the Allman Brothers from 1989-97, guitarist Warren Haynes and bassist Allen Woody have their gone their own way with devastatingly heavy results. Inspired hybrid music which is distinctly Southern and definitely rockin’. The Black Crowes, The Southern Harmony and Musical Companion (Def American, 1992)After making a multi-platinum debut with Shake Your Money Maker, an album which dripped with the English sounds of the Faces and Stones, these Atlanta natives reasserted their Southern heritage with this raucous kiss-off of an album. 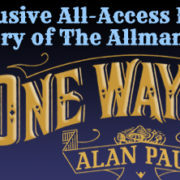 One Way Out: The Inside History of the Allman Brothers Band... Coming Soon! Local Boy Makes Good Reminder: Live Panda Dad chat @ 3pm Submit questions now.